It’s 5 years now since the Sedgemoor Splash was pulled down to make way for a Tesco Extra on Bridgwater’s Brewery Field and it’s 5 weeks since the guns fell silent on a field where only daffodils now grow in the phoney war of ‘will they won’t they’ actually come. Westover councillor Brian Smedley looks at the uncertainty being caused all over the country in the wake of Tesco’s very public freefall. Sedgemoor District Council had been promoting the Northgate site to Tescos, apparently amongst others, since 2004 when the area was originally planned to be a ‘leisure led development with some retail’. This was broadly supported by all parties – but by the Labour Party only on condition that the ‘Sedgemoor Splash and the Brewery field were maintained or at least an upgraded town centre leisure pool was built without any gap in swimming provision’. Somewhere along the line, Tory controlled Sedgemoor changed it’s perspective to one of a ’large store-led development’. At the time there was also the ‘Building Schools for the Future’ programme and the idea of an ‘edge of town school pool’ replacing the Splash, which Tories claimed was costing too much to run. Labour saw the town centre leisure pool as key to bringing people to the town and feared that it’s replacement with a giant supermarket would in fact damage the town centre and therefore opposed the new proposals including organising meetings and demonstrations along with user groups. The Splash is occupied by campaigners to try to prevent closure. In July 2009 Tory Sedgemoor voted to close the Splash. Fearing a done deal and instant demolition to prevent any alternative solutions, an action group met to try to save the pool. Members of the user groups met with Labour councillors who set up 11th hour negotiations and Bridgwater Trades Council who suggested a simultaneous occupation. On August 30th 2009, with a day to go to the pools designated closure, the people occupied the Splash and demanded to negotiate it’s future including community buy-out options but instead Sedgemoor came down heavy and using court injunctions and a security firm brought the sit-in to a halt after 20 hours. 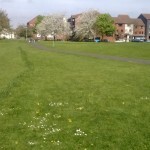 Campaign group Bridgwater Forward was immediatly set up to try to save the Splash –but within 3 months Sedgemoor had demolished it. Along with residents groups they resolved to continue to fight to try to prevent the green field being built on and to stop the supermarket giant from coming to Bridgwater. In 2010 Tesco officially announced an interest and people learnt that of the 3 parties apparently originally interested only Tesco now remained. Bridgwater Forward submitted a 2,000 name petition calling on the council to retain town centre swimming provision. It was rejected. In 2011 Tory Sedgemoor approves the bid put forward by Tesco despite a ‘Town Meeting’ in the Town Hall called by Bridgwater Town Council which votes overwhelmingly to object to Tesco’s. In the elections of May 2011 Labour sweeps to victory in Bridgwater winning 14 out of 16 town seats with the Tories losing more than half of their councillors. However, the Tories retain control of Sedgemoor which has the final say on planning matters. Throughout the rest of 2011 and into 2012 a ‘development agreement’ is draughted and approved between Sedgemoor and Tesco and there is shock as it emerges that part of the Tesco planning fee for the controversial Northgate development has been paid out of public funds. Labour councillors say “it is morally indefensible that council tax payers money should be spent subsidizing a multi billion pound corporation”. In 2013 a further public meeting held by the Planning committee makes it abundantly clear that the people of Bridgwater don’t want Tesco’s yet the planners go ahead and vote it through. Six months later Tesco’s are back to ask the same committee to ease some of the conditions –which they do despite strong objections from Labour councillors and residents. 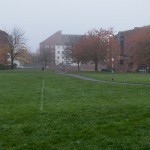 Between February and July 2013 residents attempt to bid for Town Green status in order to prevent build on the Brewery Field. After an enquiry, a vote against by Tory Controlled Somerset County Council scuppers the move. At this stage everything looks set for the final section 106 agreement to be signed, the store to be built in 2015 and opened in 2016. Campaigners mark out the proposed line of the store with daffodils to demonstrate the amount of green space that will be lost. Then in 2014 Tesco hits the headlines for all the wrong reasons. Financial irregularities, inaccurate figures and dwindling profits plus a change of management at the top leads to the Tesco Boss saying in May ‘No more big stores’ . Who will hold the field of honour?? 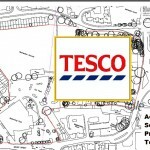 As more Tesco announcements nationally lead to further local speculation an emergency item is brought forward to a special meeting of Sedgemoor District Council on 17 September. The meeting is held under ‘Exempt report’ conditions which means that the content of the meeting has to remain confidential and members are bound over by their ‘code of conduct’ not to reveal what has been said. The reasons given are ‘commercial sensitivity’. 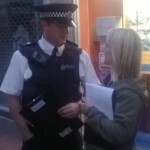 Members are in effect gagged and can only refer people to an official statement which is immediately put out by Sedgemoor.